An artist impression of the proposed new Ponteland schools and leisure complex. A new schools and leisure complex in Ponteland is a step closer following Northumberland County Council’s strategic planning committee meeting last Thursday. The application by the local authority involves demolishing the existing leisure centre to the north of the site and building new state-of-the-art primary and secondary schools alongside leisure and cultural facilities where the centre is currently located and on surrounding land. The multi-million pound project will also include new sporting facilities to replace those lost to new buildings, car-parking, access works and landscaping. There were 46 objections and 11 people writing in support. Concerns included inappropriate development in the green belt, the effect of building works taking place on a flood plain and increased traffic congestion in the area. Members of the committee said they were minded to approve the bid during the meeting, which took place at County Hall in Morpeth. There are still issues to overcome and a stage to go through before works can begin. Extra information needs to be submitted in relation to flood risk and drainage matters that meets the satisfaction of the Environment Agency and the approval is also subject to no objections being made by the county ecologist and Sport England once they receive more details. In addition, it will be referred to the National Planning Casework Unit for determination from the Secretary of State on whether he wants to call-in the application. County councillor Eileen Armstrong, whose ward includes the site, said at the meeting: “This is the next step in securing fantastic new education and leisure facilities for the Ponteland area. “I very much welcome this planning application and thank the county council for the decision made to invest in the future of our community and the next generation. The community and leisure facilities will include a 100 station gym, 25-metre swimming pool, a learner pool, toddler aqua play area, climbing wall, soft play area, library provision, a community cafe, dance studios, sports hall, a performance space, a community cinema and lifelong learning spaces. Coun Richard Wearmouth said he agreed with planning officers that the scheme’s impact on openness of the green belt would be limited, as there are residential properties on one side of the site and the high school and middle school on the other side. Coun Bernard Pidcock said he was concerned about the council being able to justify the project in difficult economic times. He was told that was not a material planning consideration and the matter should be raised instead at a budget meeting. “This is going to be a great facility for Ponteland and I hope everyone in the area will buy into it,” said Coun Trevor Thorne. 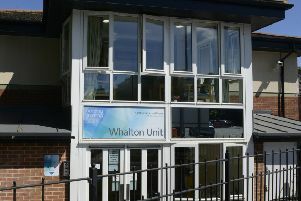 After the meeting, the headteacher of Ponteland High School said he is hopeful that work will be able to get under way on the school blocks element of the project at the end of next month. The scheme ties in with the change to a two-tier system for most of Ponteland’s schools. Their future planning is on the basis that the new educational facilities will be open for the start of the new school year in September 2019. Pont High headteacher Kieran McGrane said the date that has been earmarked for work to start at the site is February 26. He added: “Hopefully, the timetable will go ahead as planned because it will give a degree of clarity and certainty to the community. “Seeing the builders at the site in the next couple of months will give reassurance that the new schools will be ready for September 2019. “The high school and Ponteland Primary School have been involved with this project on a weekly basis since autumn 2016. If the application receives planning permission, the new building would be organised into three clear and distinct elements – the crescent, primary and secondary blocks. Each block would be unique in its scale, appearance and use, whilst being identifiable as part of a larger building. Additional classrooms were constructed for the primary schools at Whalton, Stamfordham, Belsay and Heddon-on-the-Wall to enable re-organisation and Darras Hall Primary School’s new build is set to be completed in time for the new school year in September 2018.